This was a relatively small job – with two big considerations. For one, it was an historic renovation project. 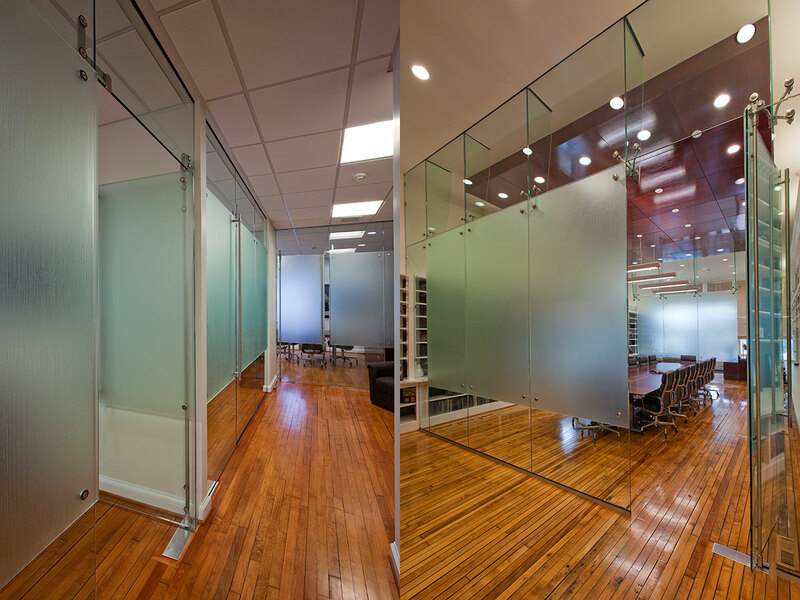 It was an old (really old) hardware store where the goal was to preserve what was already there and use glass to build walls and partition space. This meant fabricating glass with specialized notching, cutting and coping to allow us to install a glass wall around historic bookshelves. 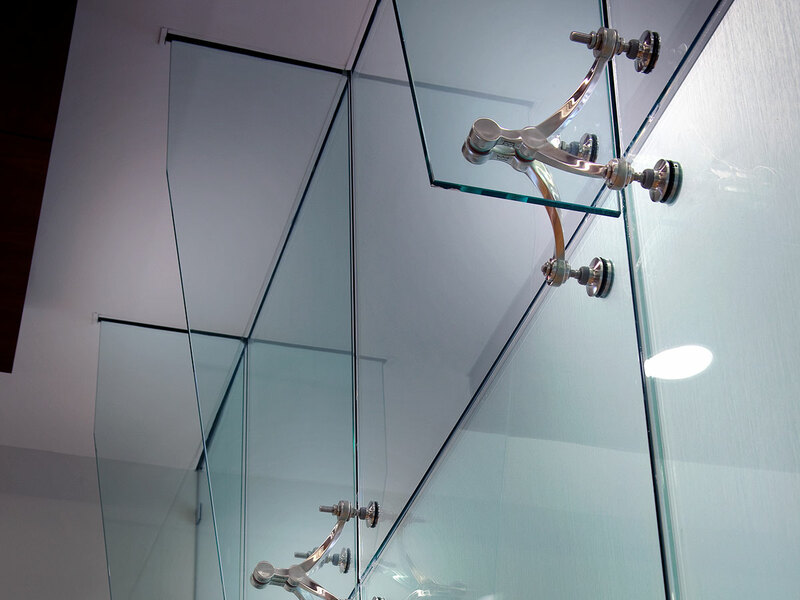 For privacy, the glass walls had a second layer of acid etched glass pin-mounted to the faces. On the bookshelf, our edges were straight, while the shelves, well, they were pretty much anything but. And nothing was going to fit together. So we cut our glass around the bookshelf edges (with a degree of difficulty that was just about off the charts) and installed strong interior walls without touching the bookshelves. And not only were the glass walls pattern-cut, but also they had to be supported from above to take weight off the antique wooden floors. And the other big consideration? The architect was the boss’s wife. If that’s not pressure, nothing is.